So many kimonos I had forgotten I had. When I first started buying kimonos, not realising that I was going to get addicted and buy so many, I didn’t think to keep all the information about each one, such as measurements, age, if that information was known, how much it cost me etc. I didn’t keep any information about the first few hundred garments I bought but eventually it dawned on me that I should, so I started to do it from 2006. 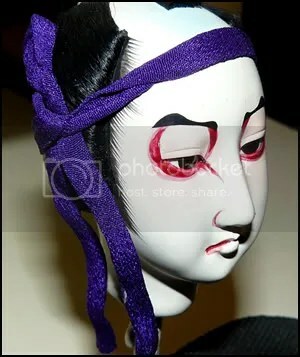 Stupidly, I had been saving the information for some months before it then dawned on me that I should also keep the photos provided by the kimono seller. It took me even longer to think of also printing the information for each and putting it in beside the kimono or whatever it was and yet longer to think to add one of the photos to that printed slip, so I could see what was in the bag without having remove it and unfold it to see that or try to remember what it looked like from just the text description. This means that, on my computer, I have a folder for each year, each containing 12 folders for the months, each containing a folder for virtually every days of the month, each containing numerous folders with information about a garments I bought on that day. There are thousands of these folders now. I was searching through those folders recently, way back in the 2006 and 2007 ones, trying to find something specific. Idon’t think I did track it down but I did see many kimonos that I had long forgotten I bought that have been packed away in boxes upstairs since I got them. I have no idea which boxes they are in, sop no idea when I might come across the actual kimonos and add them to my website. Here are a few of the ones that caught my eye as I searched through those folders. He may actually be a phoenix but, judging by his body feathers, I think he is a peacock. They tend to be very similarly drawn, with long tail feathers with the ‘eye’ on them. 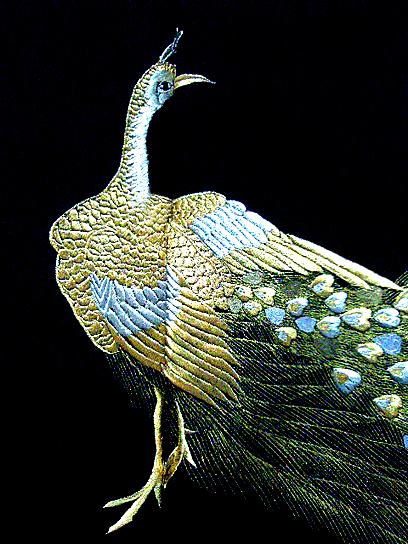 Detail of the embroidered peacock. The areas that look blue are actually silver. 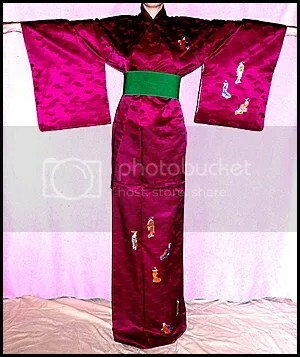 This next kimono is not in the boxes, it is one I gave my daughter, but I came across these pictures during my search. 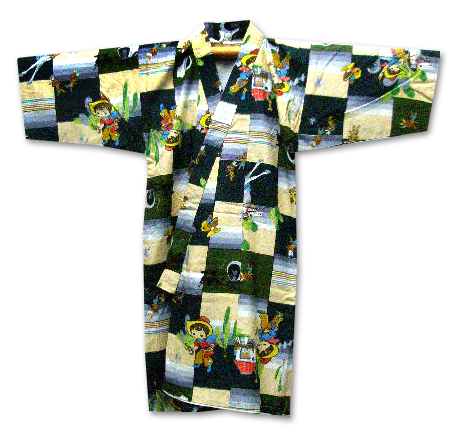 It is a kimono in a colour and pattern I have never managed to find again. 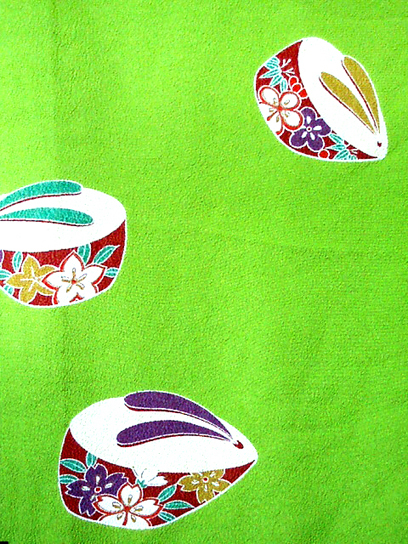 The pattern, which, at a glance, I initially thought was stylised bunnies, is actually pokkuri (high soled, wooden geta shoes worn by girls and maiko, sometimes called okobo or koppori). 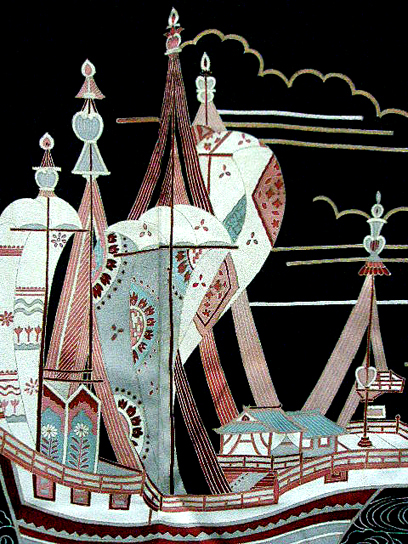 The only other time I saw this same design it was on a light blue backgound and on a kimono worn by a maiko (trainee geisha). 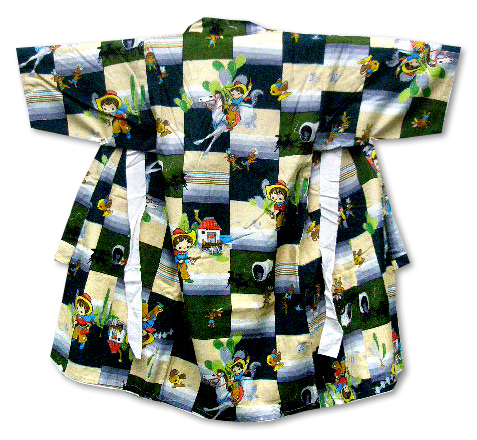 This is one of my daughter’s and my favourite kimonos. It is a lovely silk crepe. 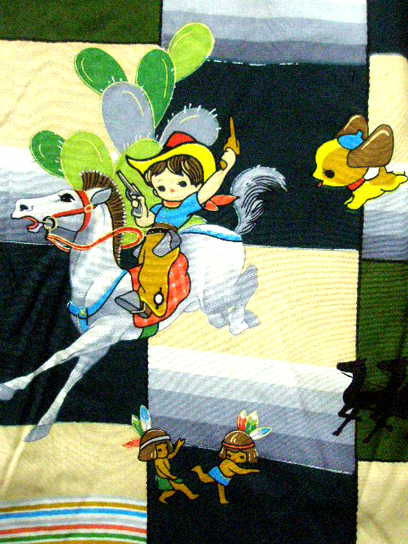 I also found these pictures of a baby boy’s kimono, from the 1950s, that I have kept for myself. 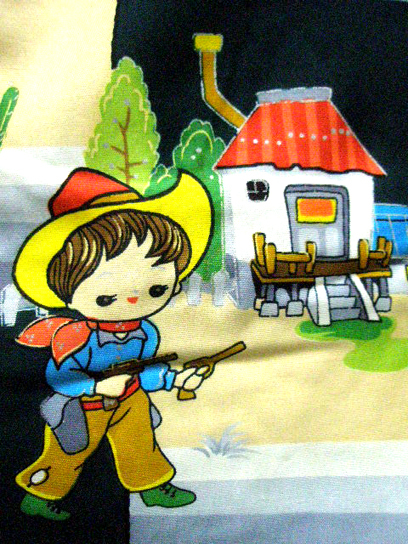 It has a very American theme, which was popular in Japan back then, with a cute Wild West design, with Cowboys & Indians (nowadays called Native Americans). It is quite a collectable one. This next item isn’t one of mine. I couldn’t afford this one. 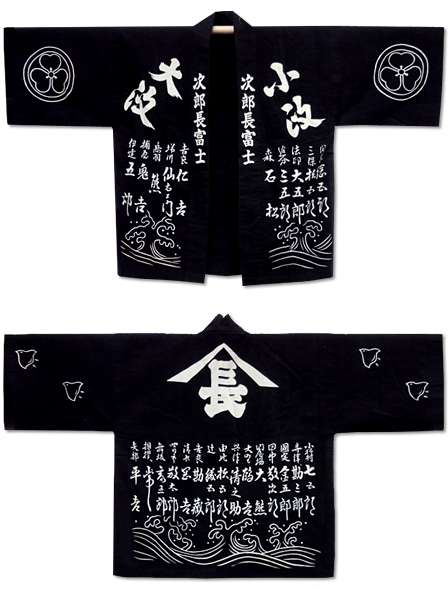 It is a hanten jacket but what makes it unusual is the design on it is that of Shimizu No Jirocho (1830 – 1893), who was a Japanese gangster (Yakuza). Born in Shizuoka, the adopted son of his uncle Jirohachi Yamamoto, who was a komedonya (middleman-merchant dealing in rice). 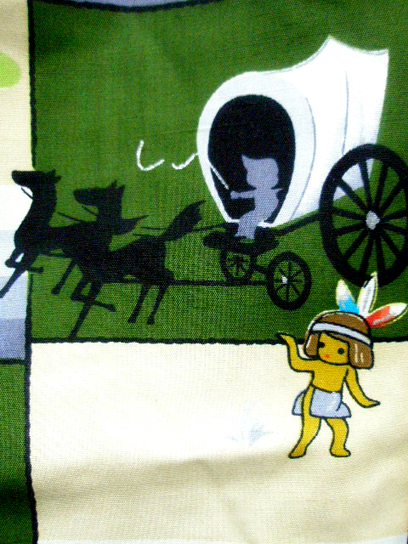 Although his real name was Chogoro Yamamoto, he was called Jirocho,which was short for Jirohachi’s Chogoro. He took over the komedonya after his uncle’s death but soon turned into a gambler. He built up his following and extended his influence, fighting over territories relating to the Fuji River and maritime transport. 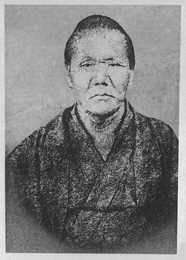 In the first year of the Meiji Era (1868), he was appointed Dochutansakugata by the Government-General of the Eastern Expedition. In the same year, the warship Kanrin-maru, of the old Edo Shogunate, was attacked by new government troops while lying at anchor in the Shimizu harbor. Jirocho treated and buried the dead with sincere condolence and became acquainted with Tetsutaro Yamaoka, Takeaki Enomoto and others. After the Meiji Restoration, he engaged in development around the foot of Mt. Fuji and marine transportation business. 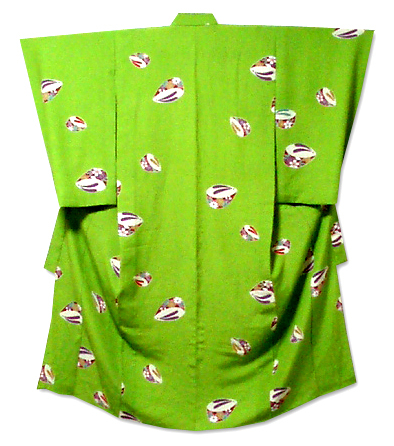 The birds on it are chidori (plovers), which tend to flock over the seashore and river beds, and the mon (crests) are katabami (wood sorrel). Below the text there are rolling waves. I like all sorts of vintage things, not just Japanese ones, and I recently went through old clothes of mine with my daughter. Things I used to wear 20 years ago. She went home with the last of my 1950s dresses, having got most of my other vintage clothes some time back, and among them I found a 1980s dress I used to wear that I had put vintage buttons on. Neither of us wanted the dress, so I removed the buttons; I have no idea what they will be put on next. They are made of painted wood, with metal loops on the back, and are in the shape of black gloves with a light blue edge to the cuffs. They used to be my mother’s when she was young (she’s now 91) but she can’t recall where or when she got them. They always made me think of Schiaparelli (1890–1973) and her Surrealists inspired designs. I think Schiaparelli used glove shaped buttons. I particularly remember her fabulous shoe shaped hat and her Lobster Dress, with the lobster on the sash painted by Dali. Here is a photo of my buttons. 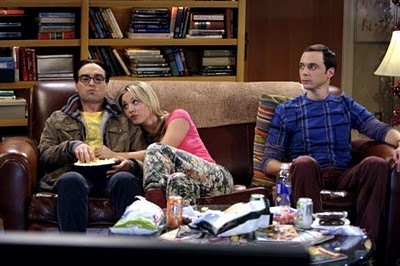 A television show I particularly like is The Big Bang Theory. Every so often I have noticed that the character Penny wears trousers that look as though they have been made from vintage kimonos. I spent absolutely ages trying to get a screenshot of her wearing some. The best I could manage was the one below. In Japan, it ‘s considered very rude to talk on a phone, play noisy digital games, eat or drink on public transport. It is also considered very rude to so those first two things in a cafe or restaurant and very ill mannered to talk on a mobile phone or to eat or drink when walking in the street. 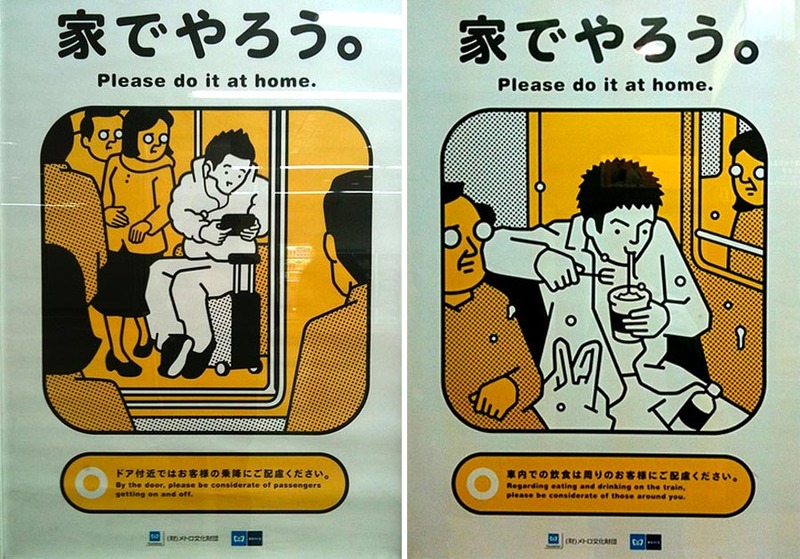 The Japanese are very well mannered and considerate people and abide by this public etiquette. There are exceptions to the no eating rule, though; on long distance trains one can eat and the stations even sell special bento box meals for these journeys. The sign below shows two examples of what not to do – play a noisy game or eat. Orizuru: Origami crane. Throughout history, birds have been viewed as animals of special value and have been endowed with meanings often drawn from legends and stories that have endured over many generations. 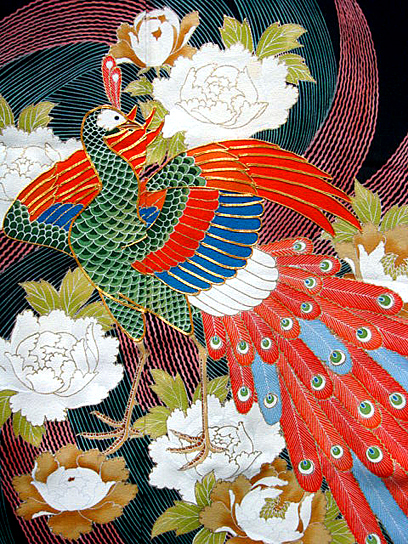 For the Japanese, the crane (tsuru) is considered a national treasure, appearing in art, literature and folklore. The Japanese regard the crane as a symbol of good fortune and longevity because of its fabled life span of a thousand years. It also represents fidelity, as Japanese cranes are known to mate for life. 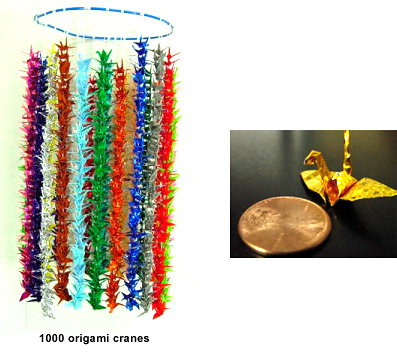 Over time, the crane has also evolved as a favorite subject of the Japanese tradition of origami. Shortly after the end of World War II, the folded origami cranes came to symbolize a hope for peace through Sadako Sasaki and her story of perseverance. Diagnosed with leukemia after being exposed to radiation after the bombing of Hiroshima, Sadako became determined to reach a goal of folding 1,000 cranes in hopes of being rewarded with health, happiness, and a world of eternal peace. Although she died before reaching her goal, the tradition of sending origami cranes to the Hiroshima memorial has endured, as a symbol of the wish for nuclear disarmament and world peace. Today this tradition of folding 1,000 cranes represents a form of healing and hope during challenging times.